The malting of grain – converting complex starches into simple sugars – is necessary for the grain to be used in the production of alcoholic beverage. While early malting was crude and rudimentary, experience and innovation improved the process over time. By the middle ages, Europeans were producing malted grain in industrial sized batches. This advancement necessitated the move of the malting process from the campfire and kitchen to an industrial sized building or cavern known as a malting house. 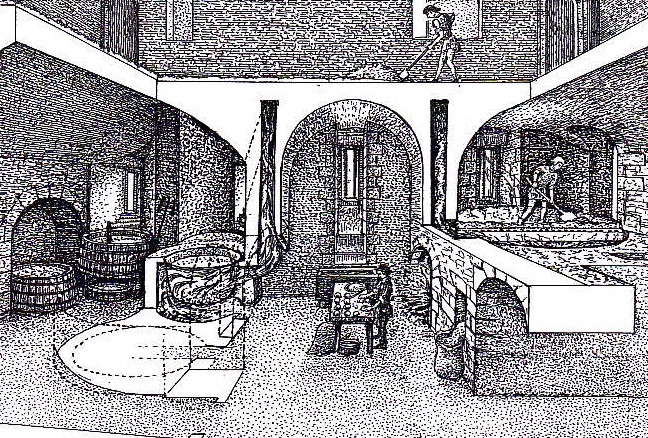 Within an oblong set of stone foundations are arranged—clockwise—a deep well; a water-tight basin at ground level; a kiln with a fire pit and a flue; and a stone-ringed fire place, about 3 feet in diameter. The probable date of the site, according to Dr. Andreas Boos, chief archaeologist at the Regensburg Historical Museum and keeper of the pavilion’s key, is the last quarter of the second century AD, when Regensburg was called Castra Regina, the largest Roman military camp in what is now Bavaria. The kiln consisted of a stone-lined bowl and T-shaped flue as well as a possible stoke hole, and measured 5.75m northeast–southwest and 5.9m northwest–southeast… A significant amount of sprouting barley was also recovered from within the kiln which prompted archaeobotanist Sarah Cobain, to suggest that the kiln might have been involved in the process of malting grain. Malting however requires the prolonged soaking of grain and brewing requires the steeping of malted grain in warm water. A large, sub-rectangular stone and mortar-lined pit was located c. 40m to the south-east of the T-shaped kiln. It measured 3m in length, 2.2m in width and 1.05m in depth. The Barley Store: A loft used for dry storage of the grain to be malted. Barley was delivered in sacks through a loading door at wagon height. The store was at one end of the malting house with access to a street for the wagons. Underneath Nottingham, there are several cave complexes that were used in lieu of malting houses. In these locations, grain was delivered through a cave entrance and stored in a dry bin adjacent to a well or cistern. A large, sub-rectangular stone and mortar-lined pit was located c. 40m to the south-east of the T-shaped kiln. It measured 3m in length, 2.2m in width and 1.05m in depth. The lining consisted of mortared stone with a thick layer of compact lime and sand based mortar along the base. The stone lining within the pit suggests it was meant to retain liquid. It is likely to be associated with two further sub-rectangular pits uncovered in the immediate vicinity. Both possessed a lime mortar base but no stone or mortar on the sides. The Couch: A holding bin for barley between the steeping pit and the growing floor. Grain never spent more than a day in the couch. Although numerous archaeological references refer to the couch as the next step, the purpose was to enable a tax assessor to determine the volume of grain to properly assess the Malt Tax. Since the Malt Tax in England ran from 1697 to 1880, and there are no references to the couch in continental archaeological records, it is not likely that the couch was a necessary part of the malting process. Drying was either done in the sun or in a kiln, each had its advantages. Sun-drying produced the cleanest tasting malt, but was, of course, dependent upon good weather, and the acrospire might continue to grow to the point where it consumed all the grain’s nutrients, making it useless for brewing. The early furnace was a simple fire basket with a cast-iron sheet above it to disperse the heat. Hornbeam coppice wood was often used as a fuel in Hertfordshire as it produced an intense heat and was said to ‘burn like a candle.’ Later good quality anthracite became the fuel of choice since it creates hardly any smoke. The barley was moved onto the drying floor (above the fire box), and raked to a depth of about 4 to 6 inches. 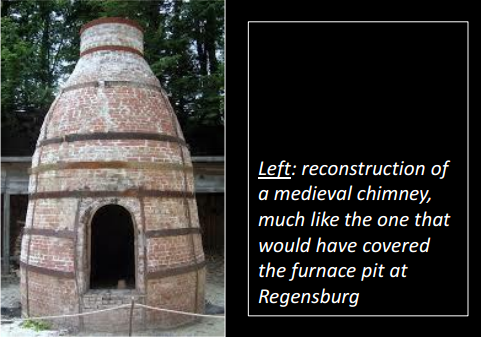 Because moist grain spoils quickly in storage, the Regensburg maltsters dried it in the kiln. The kiln walls have a narrow ledge that probably supported a floor made of organic material. 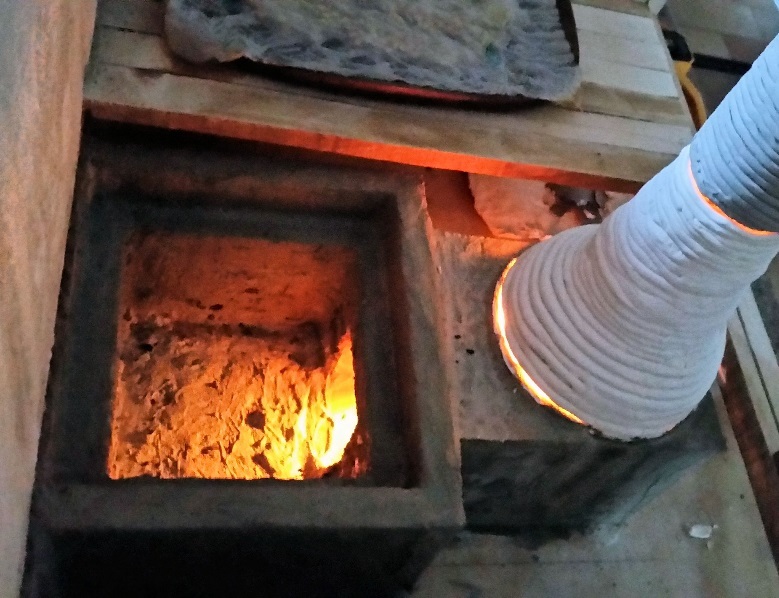 An open fire pit and a praefurnium (a work area for stoking the fire) are in front of a covered flue that sent hot air into a hypocaustum (a heat chamber) under the kiln floor. The drying floor was porous to allow heat and air to circulate through and around the grain. A solid floor would heat up just fine, but would result in simply creating hot, wet grain. The weave had to be tight enough to avoid the grain falling through. “The drying floor was originally a horse-hair carpet but later wire mesh, perforated tiles or iron plates were used. This floor was approximately twelve feet above the furnace.” This distance was necessary to allow for the heat and airflow to reach the barley while preventing or minimizing the risk of a grain fire. In 1978, the ruins of a malt house in what is now Regensburg, Germany show us a typical construct for such buildings in the first millennium. 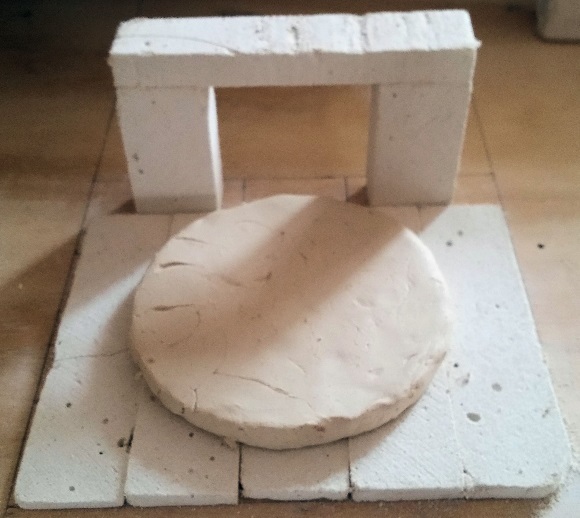 In this example, we see the foundation which includes access to the fire pit (bottom pictures) for the kiln and the drying floor, and what is presumably the drying area (top pictures.) The drying floor would have been made of porous material, most likely woven straw or flax. The kiln, the oven and the cistern (seen in the near corner of the bottom left) are all made from stone or hardened clay. …squared timber uprights or arrectaria (8 -12 cm thick) were combined with horizontal transversaria (6 – 8 cm) to form panels measuring between 50 and 80 cm. These were then infilled with concrete and rubble. To provide stability the main structure of the house was also supported by piers of brick and blockwork. 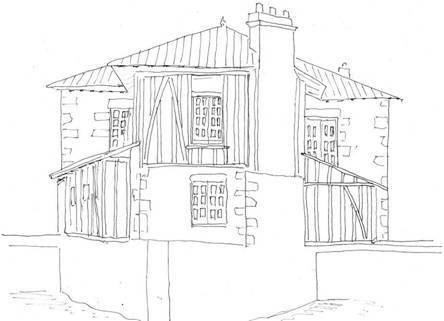 This type of design, with masonry on the ground floor and half-timber on subsequent stories, extended into the construction of non-commercial buildings and homes during the 15th century. 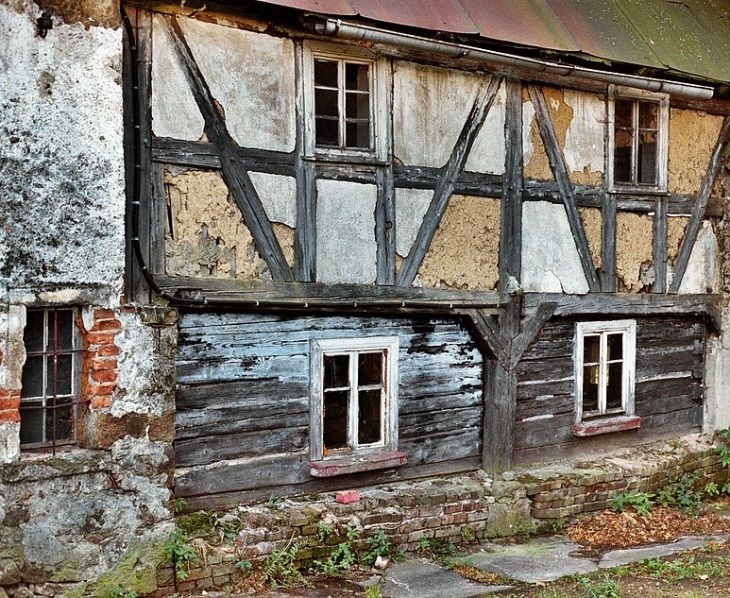 Half-timber construction was very popular in both the countryside and city in Germany in the middle ages and later. The frame of the building was made of timber, usually oak. The timbers were morticed and pegged together. Triangular bracing was used to give additional support. The spaces between the timbers were filled with waddle and daub, brick, stones or plaster. The timber remained visible both inside and outside the building. There are heavy timbers placed at strategic locations along a wall, followed with bracing in horizontal, vertical, or diagonal configurations. The gaps between the framing timbers and the bracing timbers is filled with non-load bearing material as a barrier against the elements. The result is a less expensive option than full timber construction, and at times a pleasing aesthetic. These constructions have walls of granite stone with regular masonry in the corners and major parts. The half timbers with earth found in this region are not used for building the whole floor, which is common practice in other regions in Galacia, but only for small parts of the building which also support the roof structure. The structural wooden frame is made of a weak main skeleton of wooden pillars from the sleeper beam to the roof beam, reinforced half-height with other horizontal pieces. So then he will begin to chop; now it does not take many hours with an ax, squaring up the trunk of a tree, to learn that it is easier to make one’s timbers large than small. It is as much, if not more, bother to get out a thin plank, than it is a great stick; and so he will save time and use the big timbers. With their great size and strength, he may well space them some distance apart, and fill in between with something or other not so hard to make as planks. 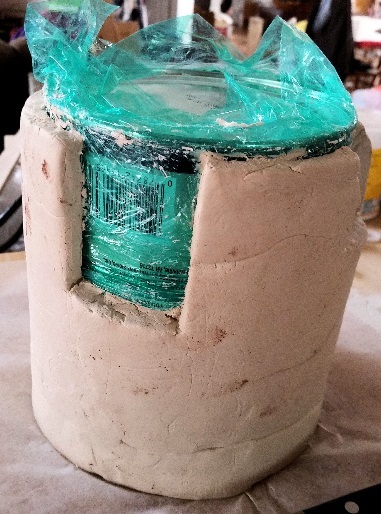 For this purpose, he will use a mortar or ‘daub’ made of lime and straw, or clay and twigs, or anything that will stick and harden, and reasonably resist the weather, which is not rigorous or one that makes great demands on building materials. 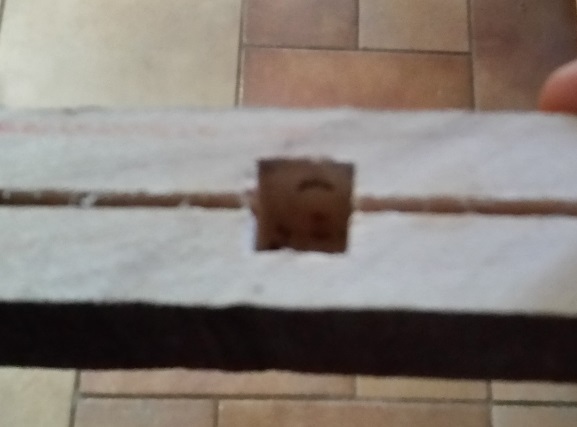 As a groundwork for lathing for this plaster he will weave willow twigs together and make a groove in the sides of his timber to take the ends and make a tighter bond between the filling and the beams, so that if the timber does shrink away there will not be an open crack straight through the wall. Then if he plasters the inside of the wall all over he will be as snug as possible. He may make it a more substantial wall by using as a filling brickbats, small stones or what-not, and covering the whole with plaster. For the corner posts a baulk was used, cut near the foot of the tree to get the beginning of the sweeping curve where it runs out into the roots. These sticks were turned upside down and the curved end formed the bracket to support the girt for the over-hanging second story, while the crooked branches were used for the curved struts and braces. In early southern Germany, connecting joints between the frame and the intermediate timbers were most commonly lap joints, while later designs increasingly used tenons. Like modern design, windows were framed between a sill and a lintel. Madoc working on the project’s walls. I created the ground level using a mix of construction mortar and garden gravel. The upper level is constructed of green birch. I used greenwood, as it is likely that was the form used in period construction. As the wood shrinks, the joints tighten contributing to the stability of the structure. 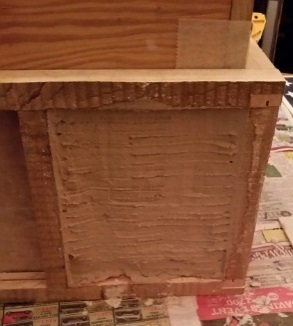 The corner joints are half-lap horizontal joins with vertical mortise and tenon posts. Each of the intermediate uprights is mortised into the horizontal beams. While the tenons were cut using a power tool, the mortises were done by drilling an initial hole with a bit and brace, and squaring the hole with a ¼-inch chisel. 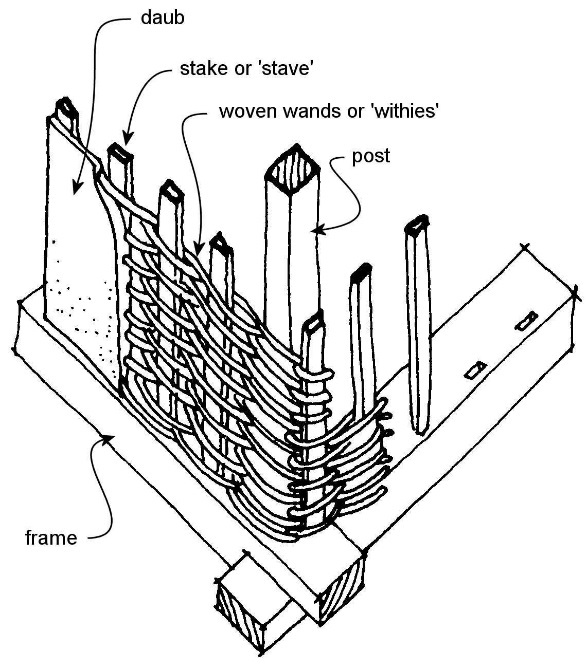 The documentation above shows that the tenons were pinned with wooden pegs. However, because of the scale of this model, I used metal pins instead. The half-timber fill is aggregated plaster over lath. 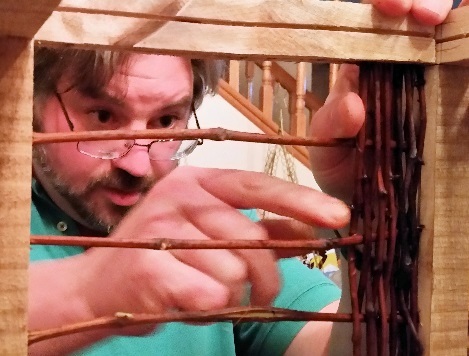 One panel is lathed with woven willow twigs, as was common in period, to demonstrate the concept. Due to the thickness of the walls, the lath was applied in a series of three coats, allowing each application to completely dry and cure before applying the subsequent coat. Each layer was scored with a three-pronged stick to ensure that subsequent applications would adhere properly. The soaking pit is constructed of the same mortar and gravel mix as the ground floor wall. 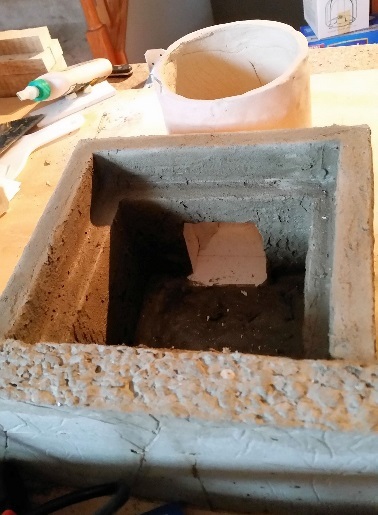 The interior of the pit is lined with clay to ensure that it is watertight. The fire pit and heat sink are constructed of clay lined with cut fire brick for safety. I needed the insulation the fire brick provides as protection from scorching that would otherwise be provided by lack of proximity in a full-size malt house. 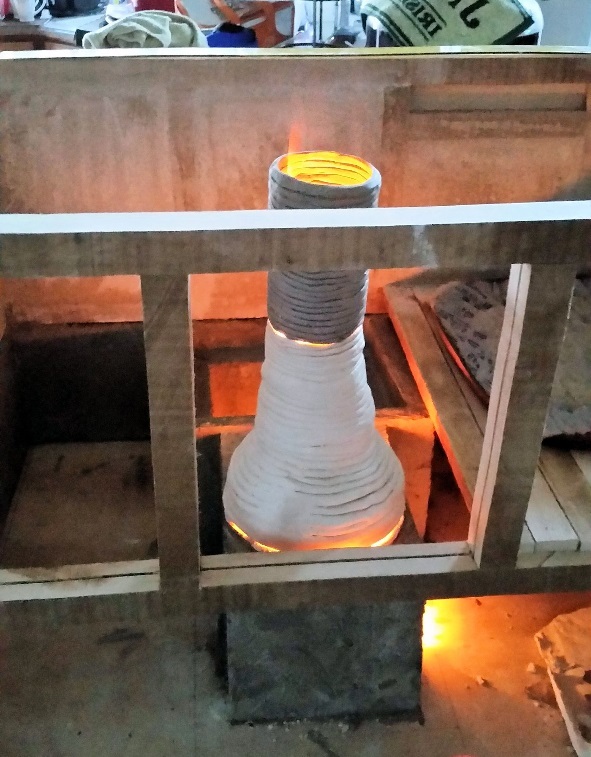 The chimney is constructed of baked clay. While the period examples I have found were constructed of brick, the size of the model precluded that option. 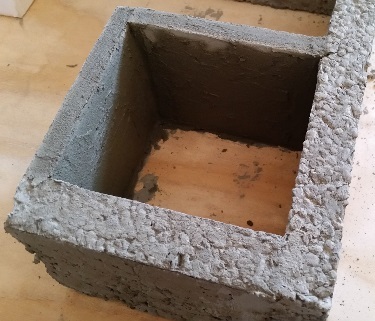 Baked clay is a reasonable alternative to actual brick. Adam, Jean-Pierre (1994). 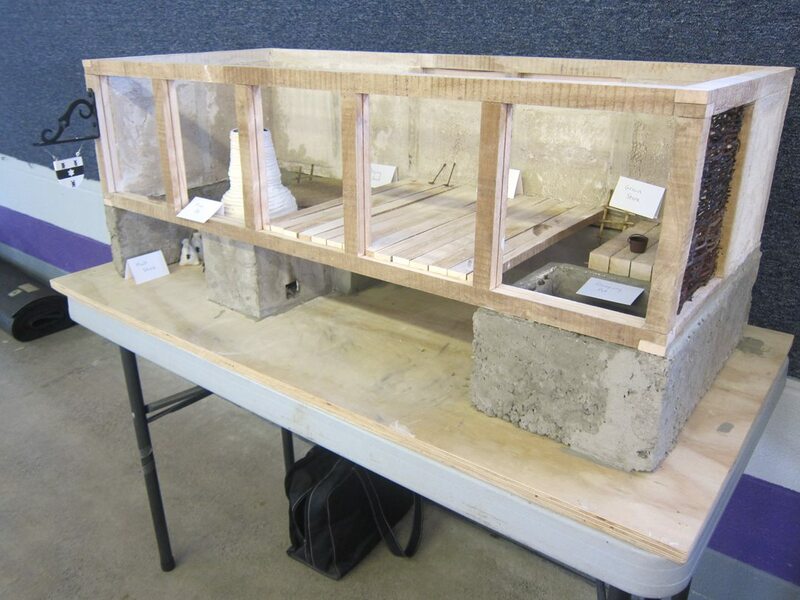 Roman building: materials and techniques. Bloomington: Indiana University Press. Blanck, Maggie (2005). “German House and Barns – Exteriors.” Retrieved 31 January 2017, from http://www.maggieblanck.com/Germany/Exteriors.html. Cawley, Laurence (25 June 2008). “Medieval maltings found at famous brewer.” East Anglian Daily Times. Clark, Christine (1998). The British Malting Industry Since 1830. New York: Continuum International Publishing Group. Clements, Peter & Michael (n.d.) “House of the Opus Cracitium”, AD79: Destruction and Re-discovery. Retrieved 31 January 2017, from https://sites.google.com/site/ad79eruption/herculaneum-1/insula-iii-2/house-of-the-opus-craticium. Craven, Jackie (2016). “What is ‘Half-Timbered’ Construction? Medieval Tree Houses Expose Their Timbers.” About Home. Retrieved 1 February 2017, from http://architecture.about.com/od/construction/g/halftimbered.htm. Dornbusch, Horst (1998). Prost! The Story of German Beer. Boulder: Brewers Publications. Dornbusch, Horst (1 May 2004). 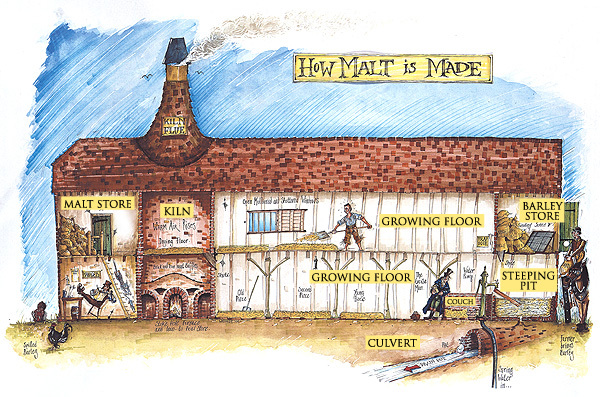 “The World’s Oldest Malt and Brew House.” All About Beer, 25:2. Duffy, P., Cobain, S. and Kavanagh, H. (2014). “From Skill to Skill: evidence for medieval brewing at Balbriggan.” Journal of Irish Archaeology, XXII: 59-76. Friedman, Donald (). The Investigation of Buildings. New York: W. W. Norton & Company. Hagen, Karl (1995). “The Economics of Medieval English Brewing.” Unpublished. Presented at the 1995 conference of the Medieval Association of the Pacific. Retrieved 9 May 2016 from http://www.polysyllabic.com/?q=medieval/brewing. Harris, Richard (1993). Discovering Timber-framed Buildings (3rd ed.) London: Shire Publications. Harrison, William (1577). A Description of England. London: Walter Scott. “How they tax common luxuries in England.” New York Times, 26 February 1865. Howard, Wendy, Kirsten Bedigan, and Ben Jervis (2015). Food and Drink in Archaeology 4: University of Exeter Post-Graduate Conference 2010. London: Prospect Books. Jackson, Allen W. (1912). The Half-Timber House: Its Origin, Design, Modern Plan, and Construction. New York: McBride, Nast & Company. Kavanagh, H. and Bailey, F. (2010). Final Report of Archaeological Excavation of Development at Folkstown Great or Clonard, Area 2/3 08E054, Balbriggan, County Dublin. Unpublished final excavation report prepared for IAC Ltd.
Lomax, Scott C. (2013). Nottingham: The Buried Past of a Historic City Revealed. Barnsley: Pen and Sword. Mileto, C., F. Vegas, L. García Soriano, & V. Cristini (2014). 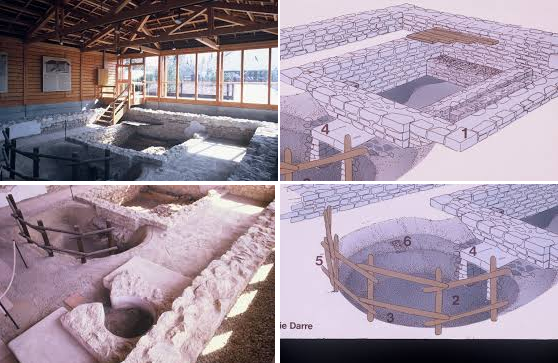 Earthen Architecture: Past, Present and Future. Boca Raton: CRC Press. Sygrave, Jon (2004). “From medieval malt house to 20th century pub: excavations at 9–11 Poplar High Street, London E14.” London Archaeologist, Spring 2004, pp. 215-222. Whitaker, Alan (2006). Brewers in Hertfordshire: A Historical Gazetteer. Hatfield: University of Hertfordshire Press. 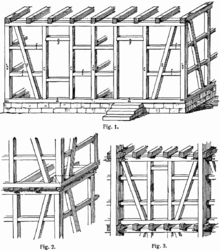 World Heritage Encyclopedia (n.d.) Timber Framing. Retrieved 1 February 2017, from http://www.worldlibrary.org/articles/eng/Timber_framing. Yorkshire Archaeological and Topographical Association (1900). The Yorkshire Archaeological Journal, Volume XV. Leeds: John Whitehead & Son.